Mandy Thomson (RVN) runs our Puppy Pre-school program; she has been teaching Puppy Preschool for many years and regularly attends workshops to increase her knowledge base and ability to help you and your puppy succeed! Classes can be organised to run on weeknight evenings from 6.30pm, or on the weekends! 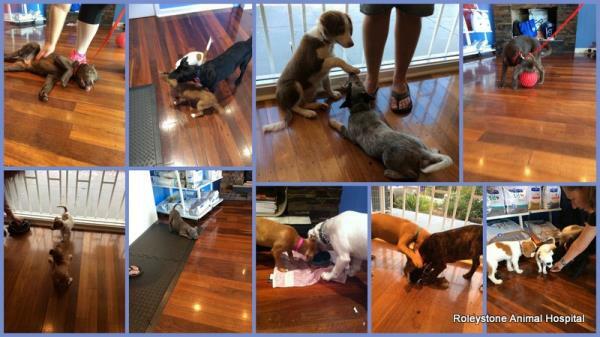 Our nurse Rebecca organises the day & time to suit the puppies in each class. We run a five week program using progressive and positive learning techniques to strengthen the bond between you & your puppy. - Develop an understanding of normal puppy behaviour. - Learn how to read your puppy's body language and respond appropriately. - Develop effective techniques for positive behavioural development, including bite inhibition. - Understand the need for socialising your puppy. - Understand important boundaries when playing together. The most important thing about Puppy Pre-school is to 'start early'. Waiting too long can allow behaviour problems to establish which then require more intensive training to overcome. As long as your puppy is at least 8 weeks old, is healthy and has had its first vaccination you can register for Puppy Pre-school at Roleystone Animal Hospital directly. As an added incentive, puppies enrolling in our Puppy Pre-school receive a 10% discount on microchipping at the time of their puppy vaccination. For more information or to obtain a copy of our puppy preschool flyer, please contact us on 08 9390 4026. We look forward to seeing you soon! 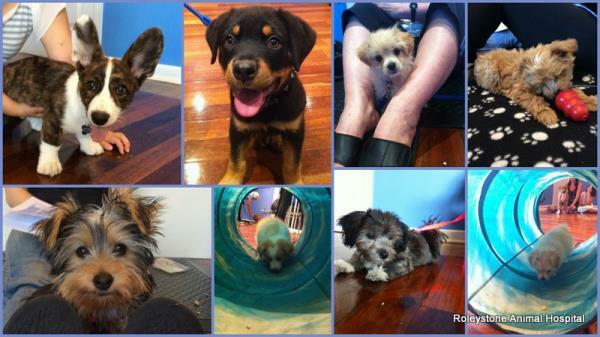 Here are some of our puppy school graduates - do you recognise anyone?